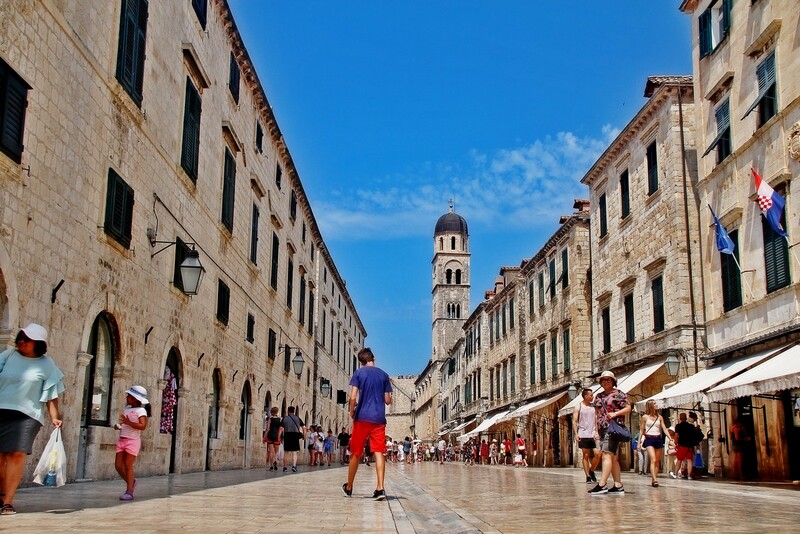 This town with a port is the seat of the Dubrovnik - Neretva county and the centre of tourism in Southern Dalmatia. The town's economy is based on tourism and maritime activities. Its most important institutions include the Naval College, the College of Tourism, the University Centre for Post-Graduate Studies and the HAZU Historical Institute. After the port was built in the Gruz Bay, the settlement began to expand towards the old town. The two eventually merged into a single town which has spread beyond the town wall to the Lapad Peninsula, the foot of the Srd hill and towards the Zupa Bay. Dubrovnik is a town with a unique political and cultural history, and has therefore been placed on the UNESCO List of World Heritage Sites. 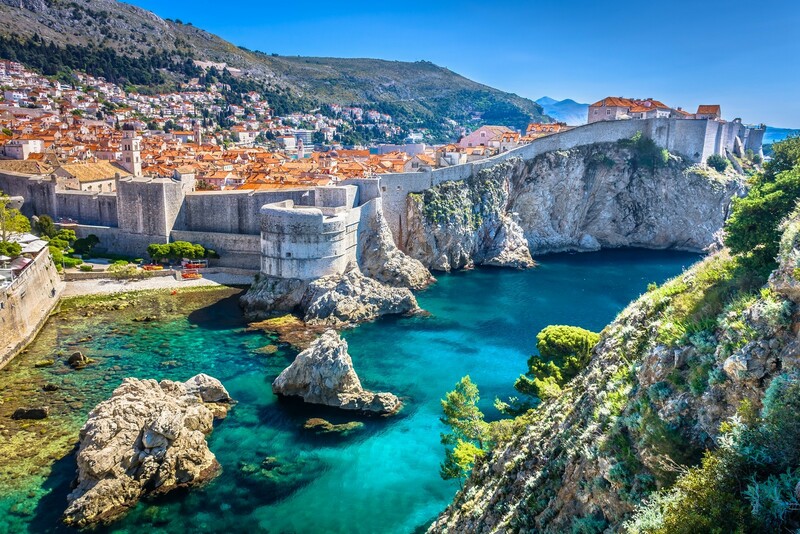 Its uniqueness, exceptionally beautiful surroundings, preserved cultural and architectural heritage, high ecological standards and well-regulated traffic render Dubrovnik attractive in any season. 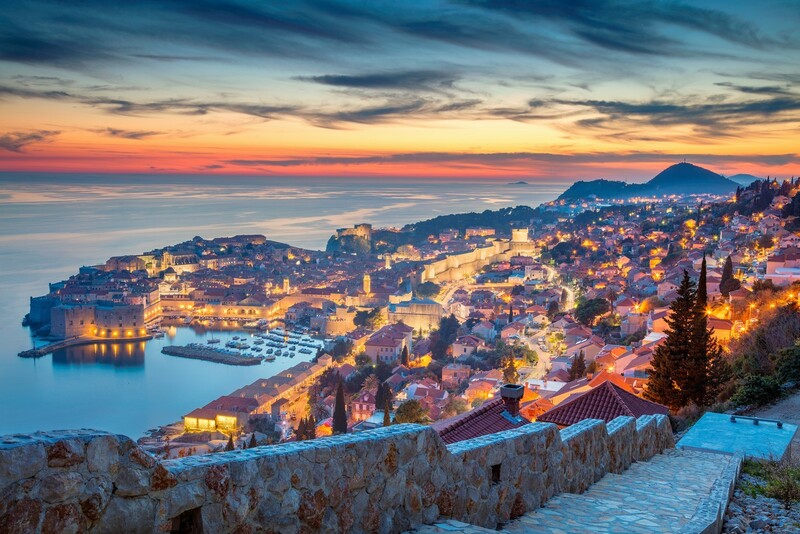 The highlight of its vibrant cultural and artistic calendar is the Dubrovnik Summer Festival, which has been held annually since 1950. 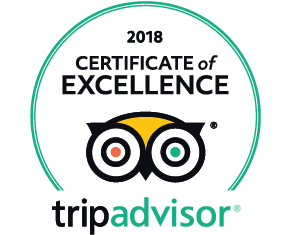 Most of the hotels are situated on the Lapad Peninsula and in the area of Ploce. Some of them are still in the process of reconstruction after the damage they sustained during the war of independence. The main harbourmaster's office is located in the town, with a branch office in the marina. The Dubrovnik International Airport lies near the settlement of Cilipi. The town is served by local and international ferry lines. 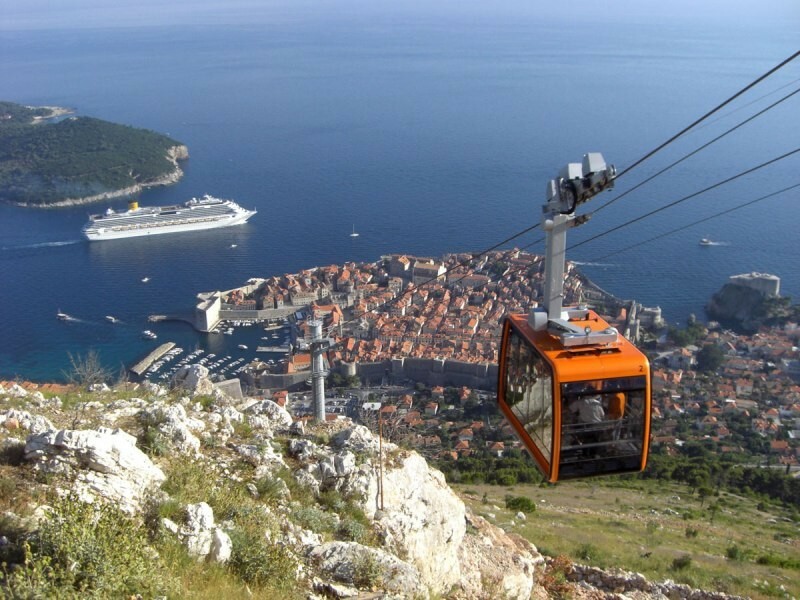 The local lines are Dubrovnik-Sobra (Mljet) and Dubrovnik-Sudurad (Sipan)-Sobra (Mljet), and the international lines are Rijeka-Zadar-Split-Stari Grad-Korcula-Sobra-Dubrovnik-Bari and the connection with the Greek town of Igoumenitsa. Dubrovnik was supposedly built in the first half of the 7th century after the fall of the nearby Epidaurum on the site of the present-day Cavtat. It was surrounded by a wall as early as the end of the 8th century. The beginnings of planned construction date back to the 13th century. 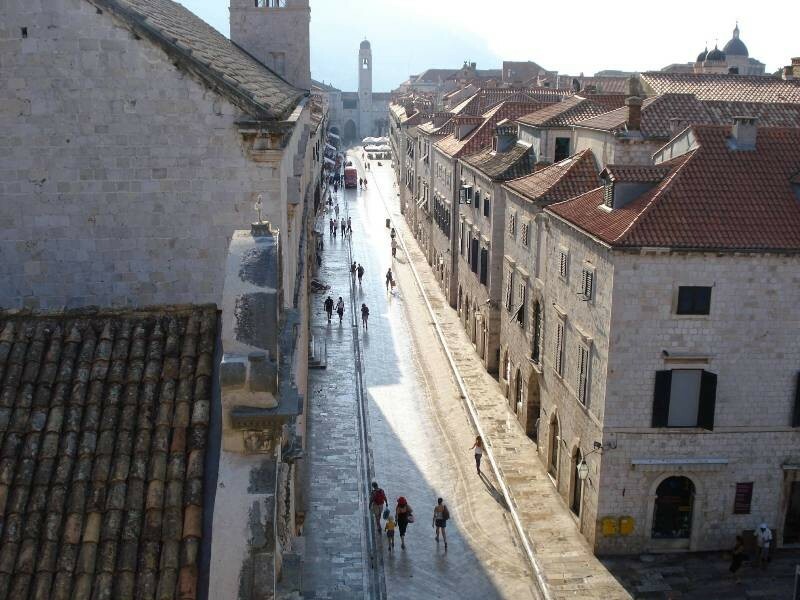 Stradun (or Placa) became the town's backbone, its centre and its most beautiful street. 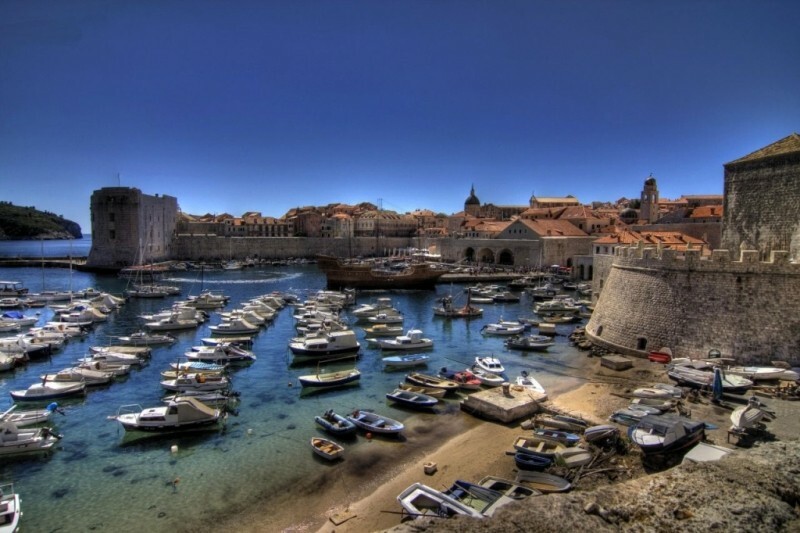 Dubrovnik experienced its heyday in the 15th and 16th centuries. The earthquakes in 1520 and 1637 severely damaged the town, but the catastrophic earthquake of 1667 practically razed it to the ground. The reconstruction followed the old plans, while new monumental buildings were built in the empty spaces. 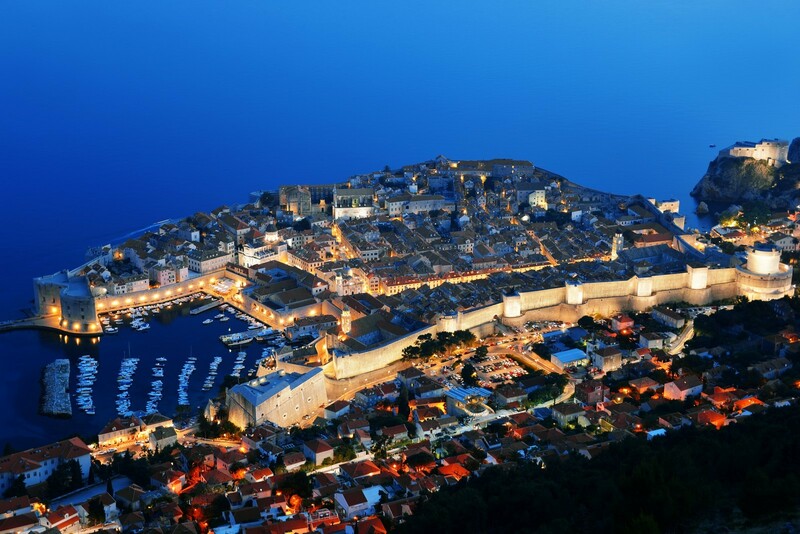 Dubrovnik's present appearance dates from the second half of the 14th century, when new public buildings, churches and palaces were erected and the wall was completed. The growth of economic power and the flourishing of literature, painting and science accordingly raised the general level of culture. In 1436 the water supply and sewage systems were constructed. At the same time, maritime trade was also at its peak. 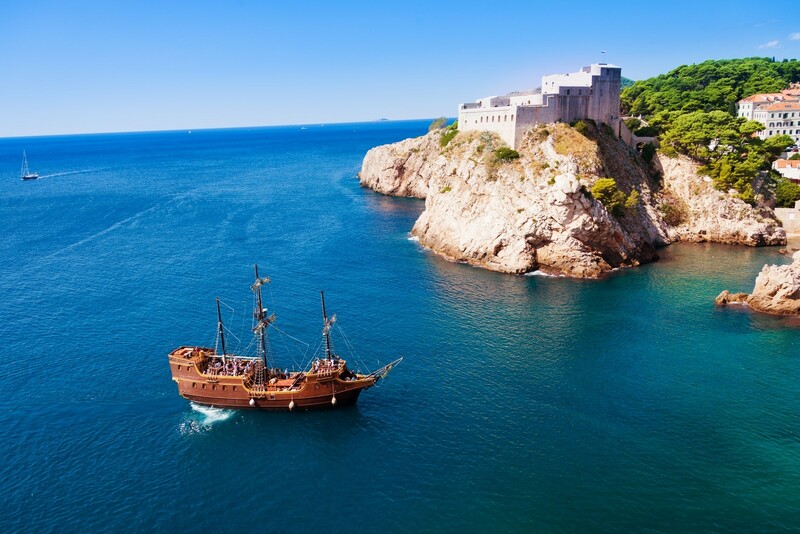 Dubrovnik had a strong fleet with around 200 ships and over 5000 sailors. 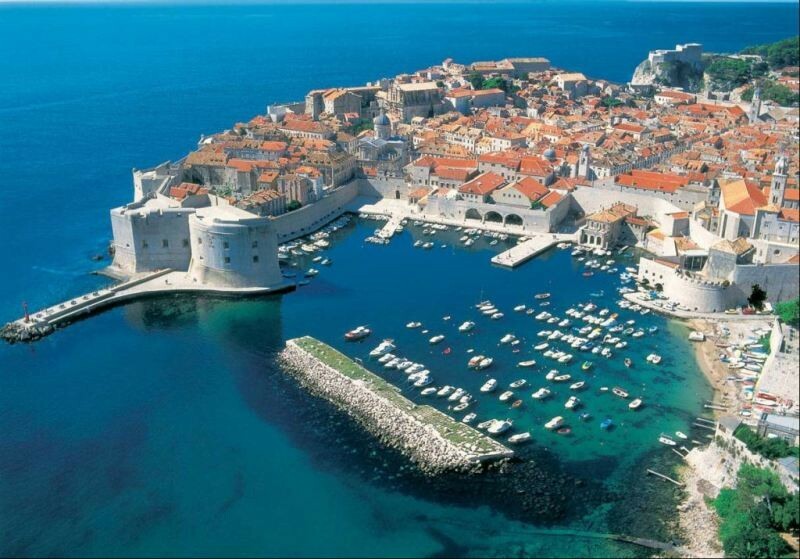 Dubrovnik was under Venetian rule between 1205 and 1358. It gained complete autonomy as part of the Hungarian-Croatian kingdom, which marked the birth of a free and rapidly rising state. 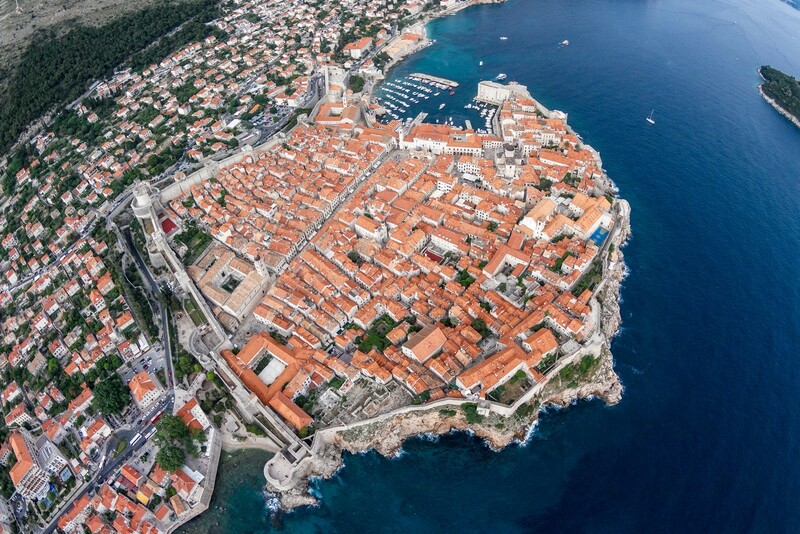 Dubrovnik expanded its territory through purchases. In the middle of the 13th century it obtained the island of Lastovo, in 1333 the Peljesac Peninsula, in the second half of the 14th century it strengthened its power over Mljet, and in 1399 it purchased the coast from Orasac to Ston from the King of Bosnia and connected its old territory with Peljesac. In 1419 it purchased the eastern part of Konavle, followed by the western part with Cavtat in 1426. Thus the Republic of Ragusa (Dubrovnik) was created. 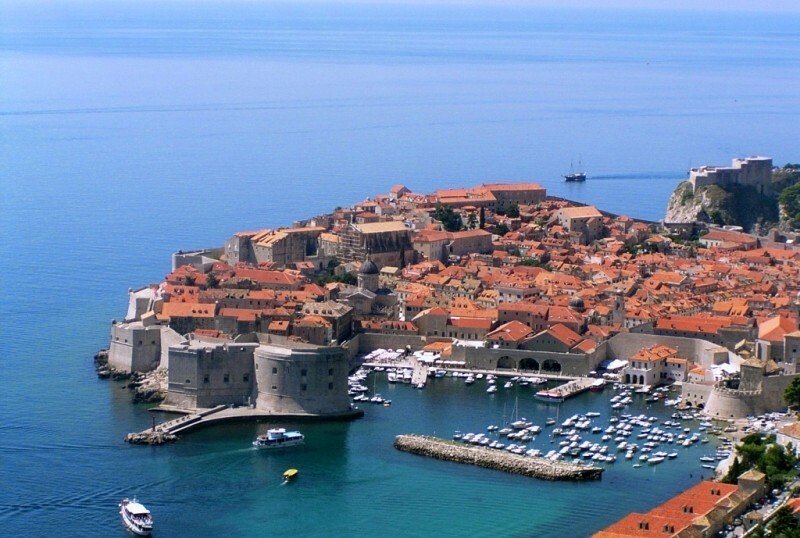 In 1806 Dubrovnik was occupied by Napoleon's army. The French abolished the Dubrovnik Republic. The arrival of the French also led to the downfall of its naval power. After the fall of Napoleon, Dubrovnik became part of Austria in 1814, followed by the Kingdom of Serbs, Croats and Slovenes, which later became Yugoslavia. During World War II, it was part of the Independent State of Croatia, although under Italian occupation, followed by another year under German occupation. After the liberation it became part of the Socialist Republic of Croatia within the Socialist Federal Republic of Yugoslavia. 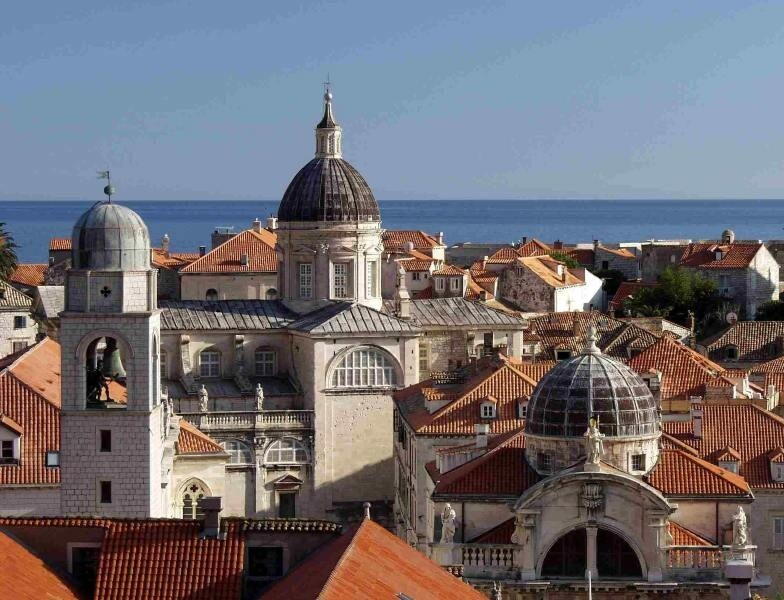 After the break-up of Yugoslavia and the declaration of Croatia's independence, Dubrovnik suffered a terrible ordeal in 1991 and 1992. The Serbs cut it off from its hinterland, attacked it and severely damaged both the old town and the surrounding area. The old town core is surrounded by a wall which has few rivals in the world. It is around 2 km long, in places up to 25 m high, and is in excellent condition. The defence system incorporates three round and twelve rectangular fortresses, five towers, two corner fortresses and a large fortress. 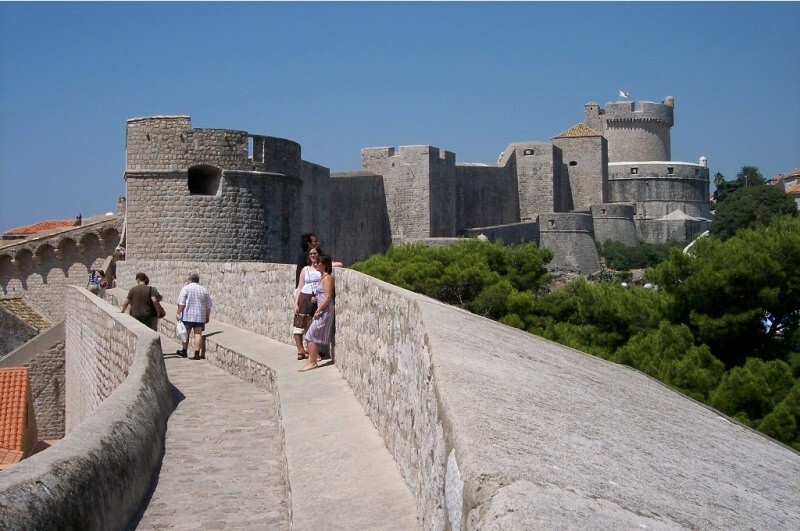 The town is protected by the magnificent Revelin Fortress in the east and the Lovrijenac Fortress in the west. GRADSKA LUKA (TOWN PORT) - The old town port is protected from large waves by the island of Lokrum and the Kase breakwater, but a strong jugo nevertheless causes waves. Space for berthing is hard to find in the town port due to heavy traffic caused by local tourist ships. If there is no sign of the bora, boats can use a pleasant overnight anchorage in the Portoc Bay on the island of Lokrum, where the most beautiful bathing spot in the Dubrovnik area is situated. Gradska Luka was the main town port and shipyard until the 16ft century, when the shipyard was moved to Gruz, while the Great and Small Arsenal remained in the port. The Arsenal was first mentioned in 1272. In 1489 it was expanded and improved. Only part of the former arsenal remains. The port was originally protected by a chain until the artificial islet of Kase was built as a protection from intruders and the pounding of the waves. 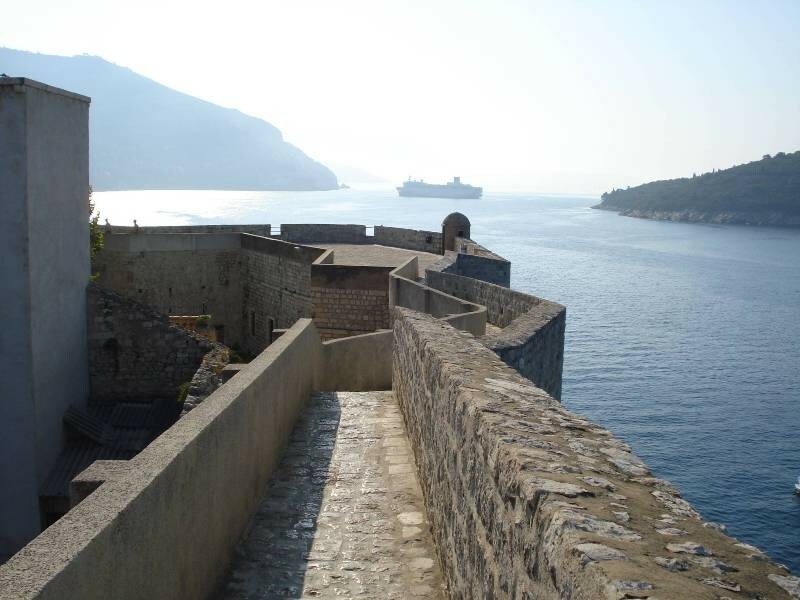 The port was also protected by the Fortresses of Sveti Luka (St. Luke) and Sveti Ivan (St. John). The port features lazarettos, buildings which were used for disinfecting merchandise and people, which was an exceptional instance of medical and sanitary protection in Europe at the time. GRUZ BAY - The bay contains the main Dubrovnik passenger, ferry and commercial port with an international maritime border crossing. Part of the port pier provides berths with water and electricity hookups for yachts up to 40 m long. Berths can also be found on the opposite side of the bay in the marina of the Orsan Sailing Club, which is protected from the bora by a concrete pier. LOKRUM - A less than 1 km2 large islet southeast of Dubrovnik. 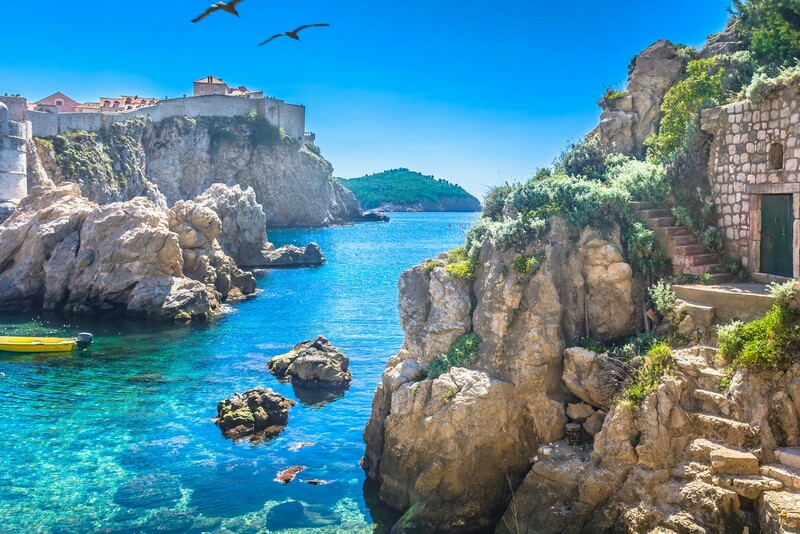 It is covered with lush, evergreen subtropical vegetation, and is a popular day-trip destination for tourists and the inhabitants of Dubrovnik, only a 10 to 15 minute boat ride away. Its charming coves are lined with beaches and wonderful promenades. Lokrum features the Biological Institute, the Natural History Museum and the memorial collection of the world-famous Croatian scientist Rudjer Boskovic. Further information is available from the Lokrum reserve - tel. (020) 322-301. There is a botanical garden on the islet which is run by the Split Institute for Oceanography and Fishing (tel. (020) 427-937). The islet is protected as a nature park. Its special attraction is a 10 m deep and slightly salty lake called Mrtvo more (Dead Sea). The Benedictine monastery in its vicinity was established in 1023 and abandoned in 1798. It was severely damaged in a great earthquake in 1667. When the Austrian Archduke Maximilian purchased the island in 1859, he built a tower-shaped mansion in part of the ruined monastery and established a park with exotic plants in the surrounding area. On the eastern coast lies a small natural harbour called Portoc, from which a trail leads to the remains of a fortress. RIJEKA DUBROVACKA - A 5 km long and narrow bay just before Dubrovnik. The entrance to the bay lies at the new bridge, which shortened the journey to town by 10 km. There are powerful karstic springs at the end f the bay, the largest of which is Ombla. The bay is densely lined / 1st settlements. 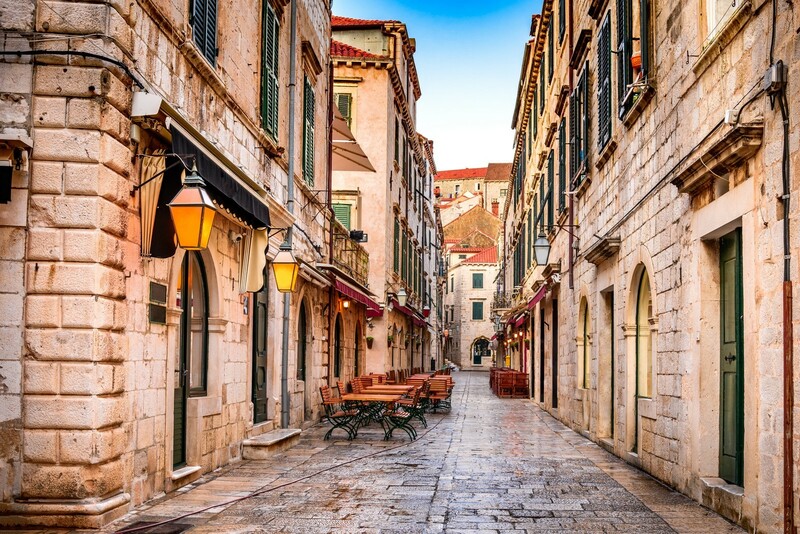 This area was once a popular resort of the Dubrovnik nobility and some of their buildings have been preserved. KOMOLAC - A settlement at the end of the Rijeka Dubrovacka Bay by the powerful karstic spring of the Rijeka River (Ombla). he inhabitants of Dubrovnik built a dam and mills here. A copper refinery was built in 1507. On the cemetery stands the ledieval Church of the Holy Ghost surrounded by tombstones from the 15th and 16th centuries. The summer mansions of the Gundulic family (which has been transformed into part of the marina) and the Sorkocevic, Getaldic and Skocibuha families have been preserved. The bay is exposed to the bora, which can blow very strong. Men navigating through the bay, beware of the shallow northern side, because the shoals are difficult to detect in the murky water. MOKOSICA - A modern suburb of Dubrovnik on the northern coast of Rijeka Dubrovacka. It consists of an old and a new part. The construction of the new part destroyed the architectural harmony of the old part. There are a few old summer mansions of the Dubrovnik nobility, le most prominent of which is the Gucetic-Burdevic Mansion from the 16th century, where the last assembly of the Dubrovnik ability was held in 1814. ROZAT - A settlement on the northeastern part of the Rijeka Dubrovacka Bay. 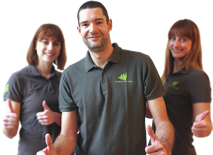 It was first mentioned in 1285. A Franciscan monastery with the lurch of sv. Marija (St. Mary), which was established in 1393 id reconstructed at the beginning of the 18s" century, stands on le coast. The cloister dates back to 1585. On an elevation Jove the settlement stands the parish church which was reconstructed after the earthquake of 1667.